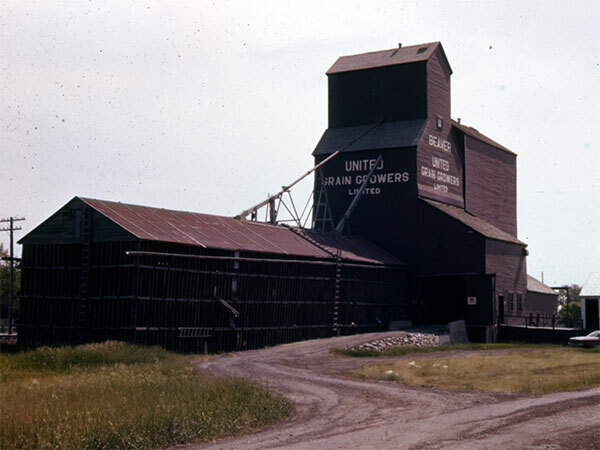 An elevator at Beaver, on the CNR Gladstone Subdivision in what is now the Municipality of WestLake-Gladstone, was built by United Grain Growers in 1935 to replace a predecessor from 1915. 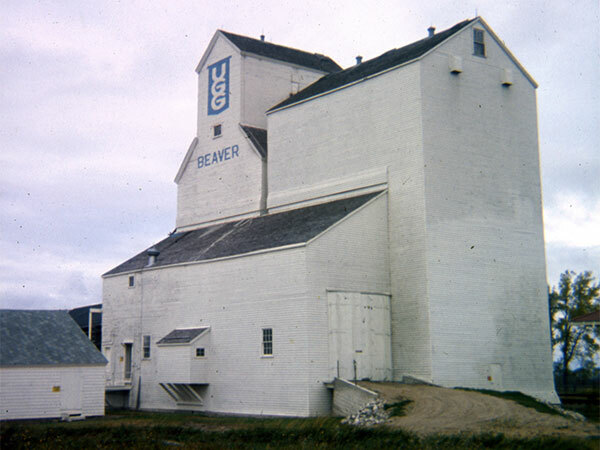 Initially rated at 30,000 bushels, its capacity was increased by two balloon annexes intended as a temporary measure during the Second World War. One of them survived until 1971. 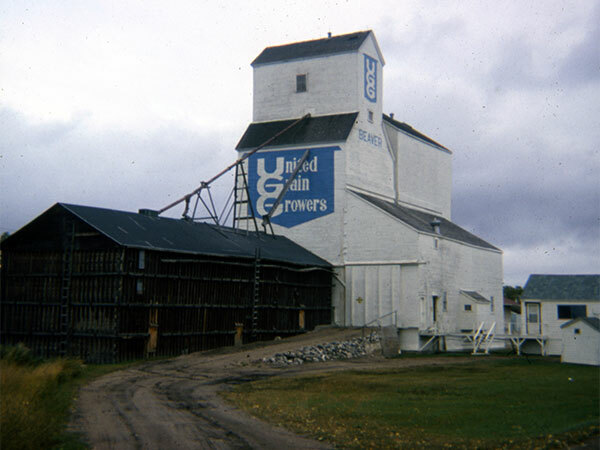 The crib annex on the other side of the elevator was built in June 1958. Closed suddenly in mid-September 1988, the elevator was removed from the site. 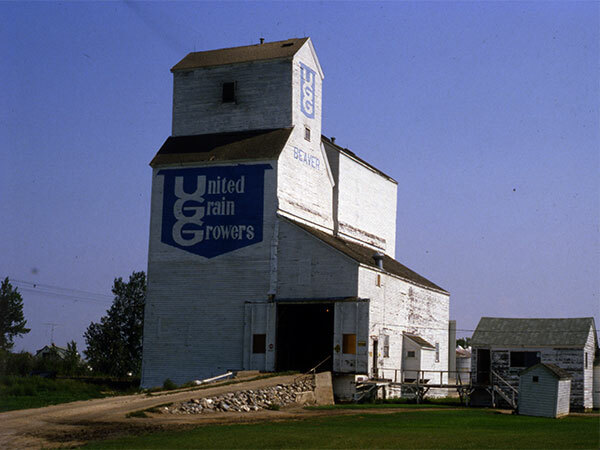 “UGG closure of elevator catches farmers off guard,” Brandon Sun, 16 September 1988, page 3. Gladstone East topographic map, 62J/3 East, Edition 1, Series A743 [UFS Reference Collection].